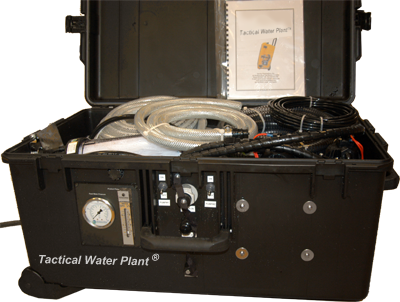 Energy Technologies, Inc. (ETI) offers Tactical water purification in either 150 or 360 gallons a day. 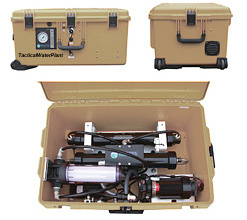 This solution is an affordable, lightweight and compact watermaker in a shock-resistant, non-corrosive case, ready to plug in and run. 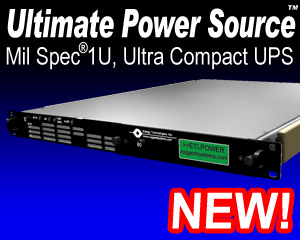 The unit can run on 12V DC or 24V DC powered by a battery which can charge from a vehicle, generator, solar grid or other source. The Water Machine produces 150 to 360 gallons of fresh water a day from salt, brackish or fresh water from a bay, well, lake or river. 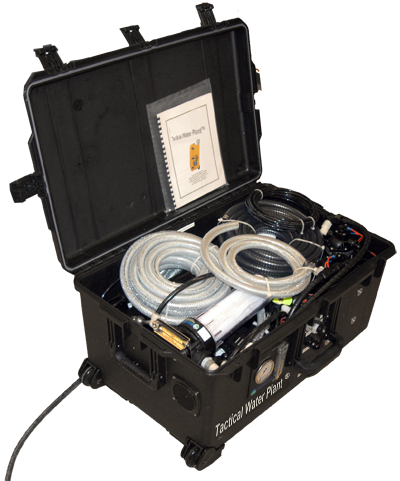 It comes complete and ready to run, and includes a factory-mounted high-pressure, Clark™ pump, a 20 inch RO membrane, feed pump, pressure gauge, flow meter, and salinity monitor. 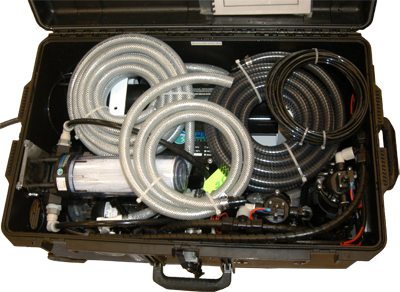 Tactical Water Machines are designed to treat water for disaster relief, emergencies, expeditions, military, and recreation.